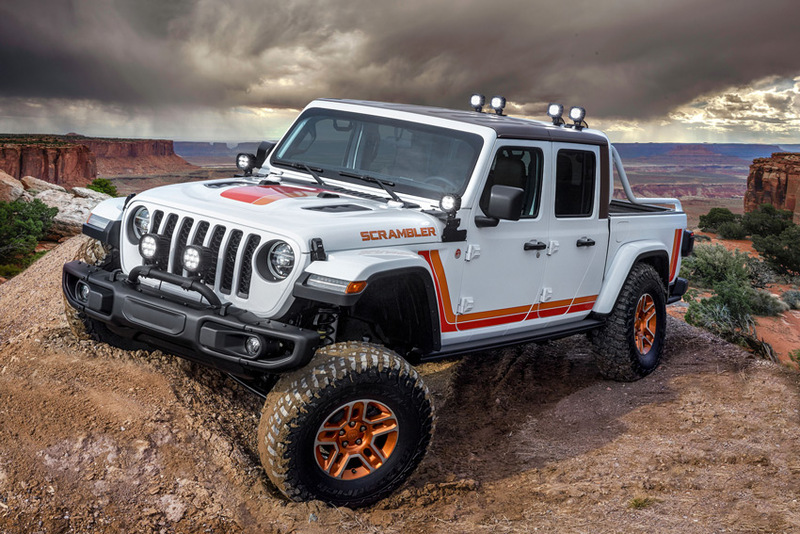 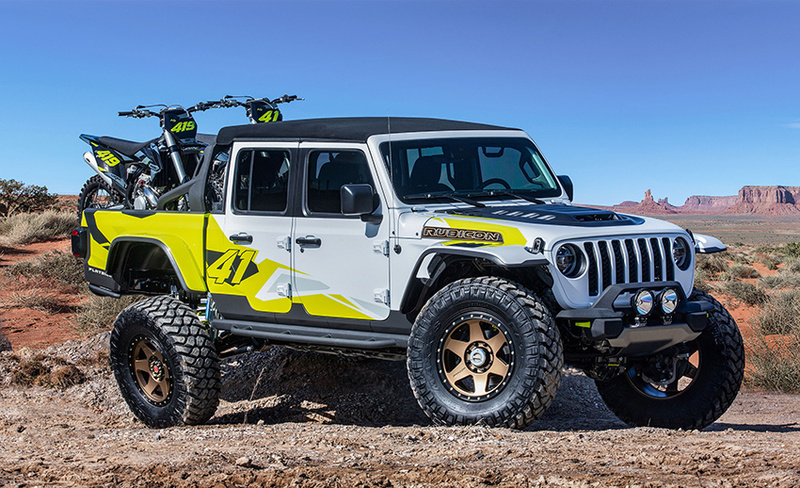 The Jeep Gladiator will reign supreme at this year’s Easter Jeep Safari as the Jeep and Mopar brands have once again joined forces to create six new, custom-built concept vehicles for the annual event that takes place in Moab, Utah, April 13 – 21. 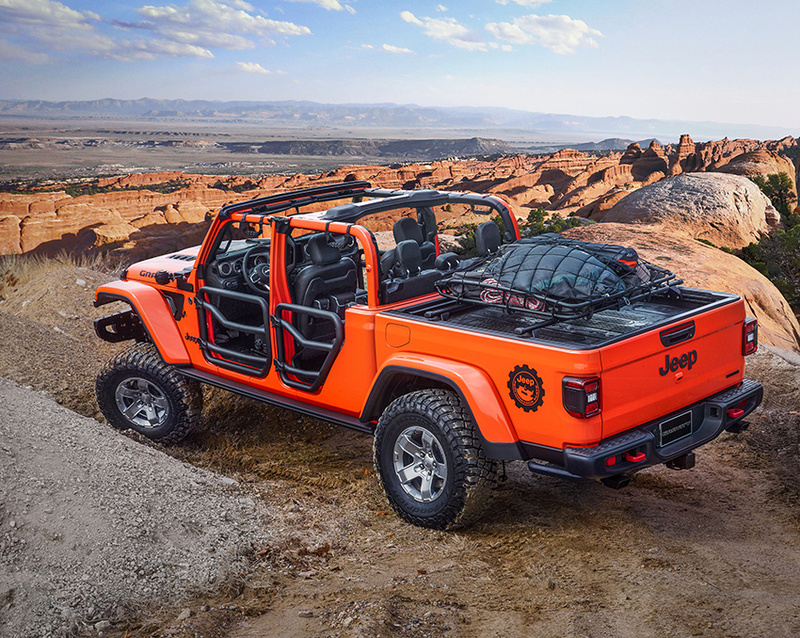 Inside, bright bed-lined floors plus custom-trimmed seats create a fun and sporty environment The Jeep Flatbill is powered by the 3.6-liter Pentastar V6 engine with a cold-air Mopar intake and mated to an eight-speed automatic transmission. 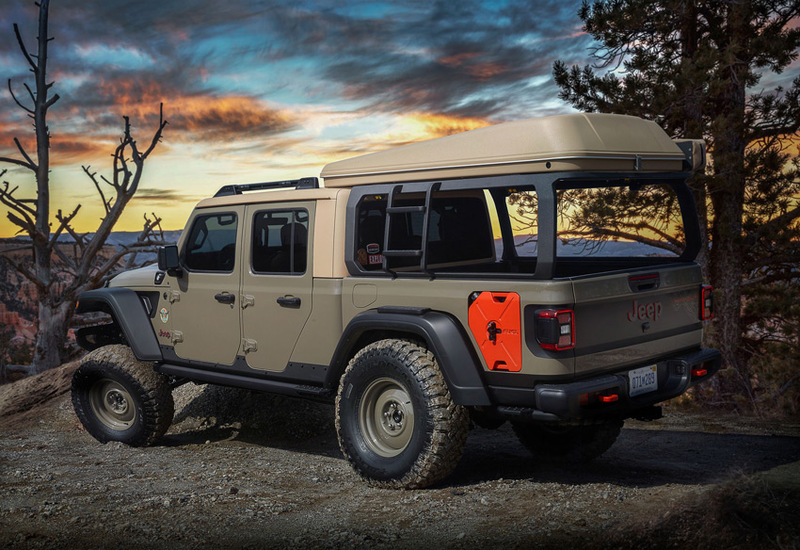 The stinger bar acts as a mounting point for four additional 5-inch Jeep Performance Parts LED lights, with another two bolted on near the A-pillars, for a total of ten 5-inch LEDs working together to illuminate the trail. 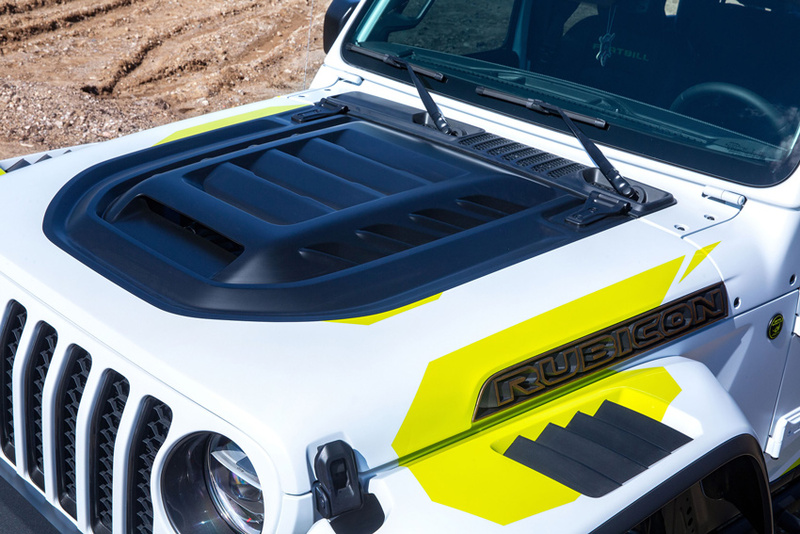 The grille is custom Mopar Satin Black, and the stock Jeep Gladiator Rubicon hood is accented with Mopar hood latches featuring the Jeep logo. 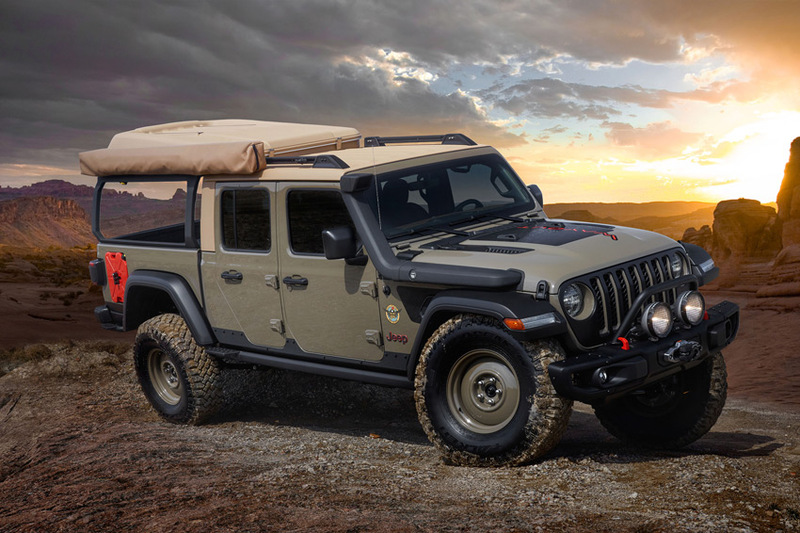 The 3.6-liter engine receives a performance bump through the Jeep Performance Parts cold-air intake and dual cat-back exhaust Exterior DNA flows into the interior of the Jeep J6. 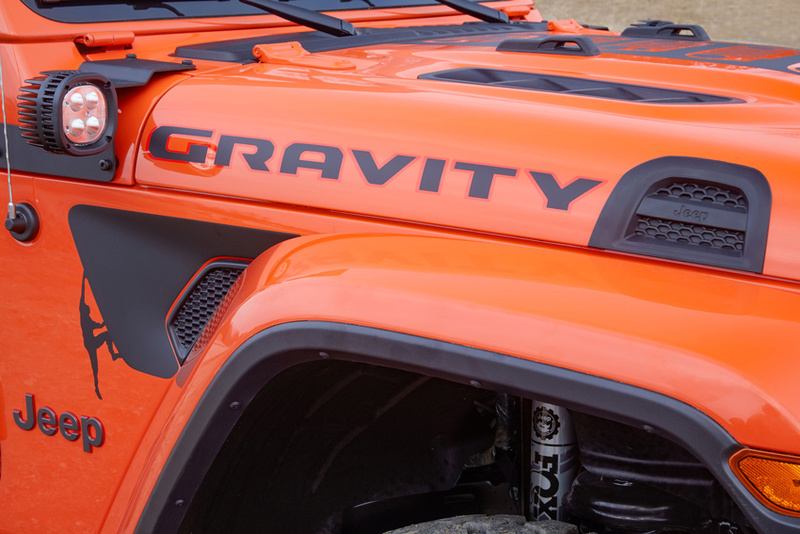 The instrument panel inserts are body-color matching, and Katzkin leather seats and armrests are also accented with body-color blue stitching. 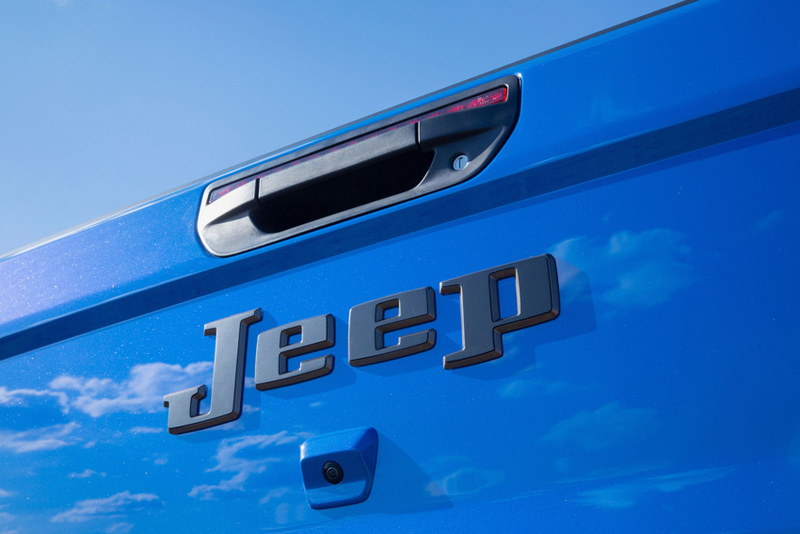 The horn pad is customized with a classic Jeep badge. 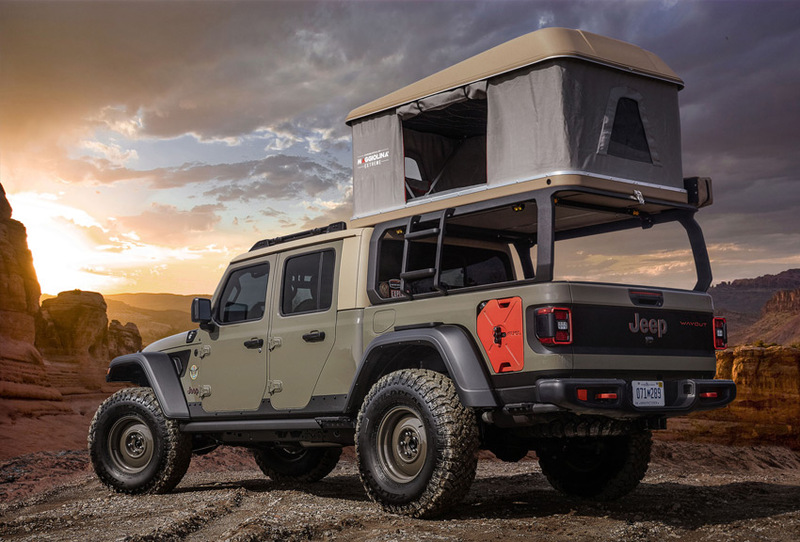 The auxiliary switch bank offers a central operating location for the 10 LED lights, and the trailer brake control switch showcases the ability to tap into additional stopping power when towing. 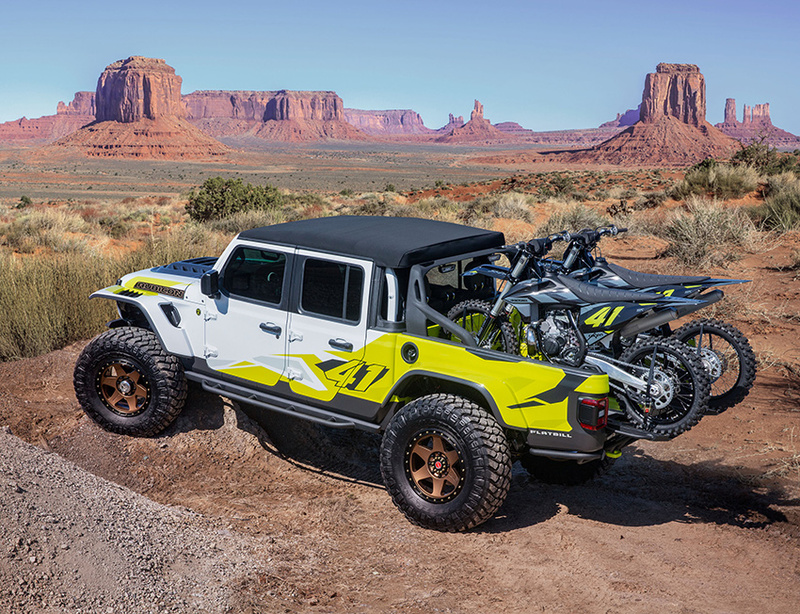 A bright pedal kit, all-weather floor mats and molded door sill guards with the Jeep logo round out the lineup of Mopar accessories.